This occurred to us while we were watching BBC news this morning and the reporter was listing England’s “alcohol-related incidents.” The terminology conjured a real ‘everything’s totally out of control’ feel, even though at least one of these three events was just a weird greeting. ‘Alcohol-related incident’ covers a lot of different events – everything from not buying your round to killing a family while drink-driving. What we’d suggest is that if any given alcohol-related incident falls into the more trivial half of that spectrum, it’s probably worth providing details so that no-one gets carried away. To say that England have suffered three alcohol-related incidents in recent times groups these things together in a way that makes no real sense. Ben Stokes breaking someone’s eye socket is not the same as Jonny Bairstow nuzzling someone hello and neither incident is the same as tipping a bit of beer over a colleague. The ‘narrative’ of England’s disorderly booze-fuelled lairiness is that in September one cricketer was involved in an altercation with violent homophobes and then three months later another English cricketer dampened someone. Fair point. But isn’t the issue that they’ve apparently got a problem with booze? 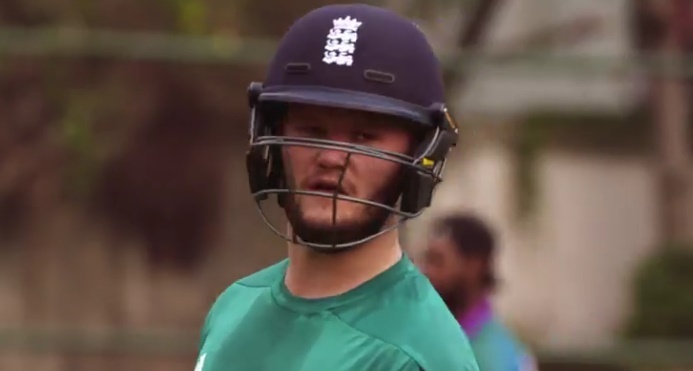 Were Stokes, Bairstow and Duckett all bladdered at the time of said incidents? Don’t think Bairstow was – at least not to the extent that he actually did anything wrong. Can’t say for Duckett, although it seems possible. England yet to confirm whether drink poured over Jimmy Anderson was Greene King IPA, the official beer of England cricket; Foster's, the official lager of England cricket; Hardys, the official wine of England cricket; or Veuve Clicquot, English cricket's official Champagne. Within the squad – it counts as self abuse this time, though, doesn’t it? Also, it has to be said, the crime is not only (as with the other two incidents) a crime against the person, but on this occasion quite probably criminal damage as well. A terrible waste of drink whatever the circumstances. No, not in the same league as a broken eye socket following an eye-catching, CCTV-captured mauling, but certainly an incident. Would I shrug this off if it happened between two members of my staff at an after-hours shindig? No. Would I have that “things have got out of control” feeling? Yes. I wonder what Anderson said, that made Duckett pour his drink over him? Did jimmy speak ill of flower & did that make Ben to take offence? I wonder which other sport allows its professionals to get so plastered that they think pouring a drink on someone’s head is a good idea. Synchronised swimmers, they can’t get enough of it. England (reserves) can take a lot of positives from that drawn tour match with the Cricket Australia XI. Firstly, if England (senior) draw the next Test, they will have kept their hopes of retaining the Ashes alive. The Australians, without a whitewash to play for, will be demotivated and make easier pickings in the remaining matches. Secondly, it was a hard-fought draw that almost ended in a defeat, against a side that only contains six players with experience of first-class cricket. This only underlines how an inferior team can, at least theoretically, overcome a superior one, and therefore raises our opinion of the likelihood that England (senior) will defeat Australia (proper). Thirdly, the “Australia Cricket XI” actually contained twelve players. Presumably this misnomer means Australia (proper) will be playing with one less man in the next Test in order to even things out. Alternatively, it suggests that teams with a misleading name will outperform expectations. Since the “England” cricket team is, in fact, the “England and Wales” cricket team (the “and Wales” is silent), then one hopes they will be allowed an additional player, at least metaphorically. Great to see Chanderpaul pere and Chanderpaul fils playing in tandem. They shared a brief (ten run, 5.4 over) partnership in the first evenings! Thisara Perera, after a fairly one-sided game in Dharamsala: “We have to give 200% credit to our bowlers”. Either he’s talking about some punitive payday-loan-style rate of interest, or he needs to check his sums. Also, he bowled but didn’t bat, is he actually saying it was all down to him? “200% credit to our bowlers” means that they should be on double pay because they were working on a Sunday. Simples.